Yummy Hippy Mummy with angelic voice who constantly writes heartfelt, catchy memorable songs. As you read this, she will probably be posting a brand new song! This songstress never ceases to amaze me with her ability to write one song after another and all of them sounding fresh, different and memorable. Lisa has the gift to give each of her songs their own endearing qualities, and her intuitiveness brings to life her innermost thoughts, fears, hopes and positive emotions with simple, catchy melodies all sung with sincerity and vulnerability. If you visit her Soundcloud or Reverbnation pages, you will be treated to an extensive collection of self-penned songs, some rough demos, some more polished performances, but all unique and beautifully written. 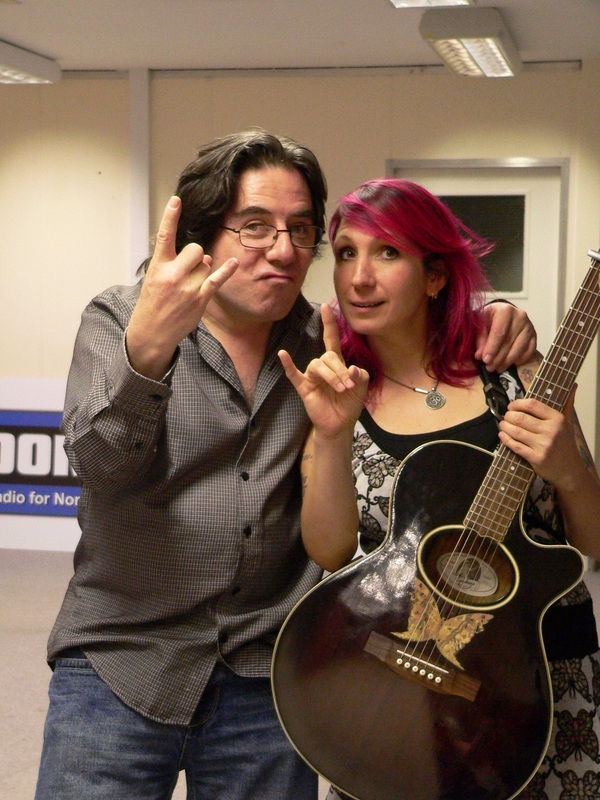 Below you will find two videos from her session at Brooklands Radio, plus snippets of our conversation and of course the show in full for your listening pleasure. Sit back and enjoy this fabulous chanteusse! Listen to this charming ditty where echoes of famous commoner-turned lady Eliza Doolittle in My Fair Lady can be heard when Lisa sings in her inimitable style “‘appy again”!